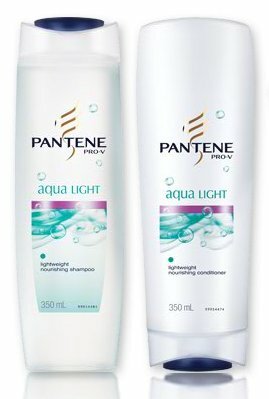 What is new Pantene Aqua Light? The new Pantene Aqua Light range contains revolutionary ingredients developed to nourish the hair without weighing it down. This sophisticated composition achieves the perfect balance between conditioning and lightness, resulting in a clean but nourished feeling. Unlike other shampoos and conditioners, the Aqua Light formula contains highly water soluble beads that clean hair gently and rinse away fast – 9 times faster than any other Light formula. The result is lightweight, beautifully nourished hair that looks lifted, has amazing movement and keeps your style in place. Why is it more advanced than other treatments? Conventional conditioners mostly feature tightly packed inner structures that appear creamy and dense and eventually drag hair down. Aqua Light’s loose, fluid composition delivers just the right amount of nourishment before rinsing away and leaving you with gorgeous, swissshable hair. Hmmm well I enjoy receiving product to review but I guess not everything can get a great review. I usually really like using Pantene so I was disappointed that this shampoo didn't work for me. My hair type probably doesn't suit the Light Formula. I have curly hair and don't use and product. I'm not sure how that related to this product not working well for me but I don't think I'll be using it again. In saying that I do like using other Pantene products. Thanks for reading. I still have to do my review for this but I agree. I have curly hair and it made my hair so boofy and my curls really loose and frizzy. I only used it once and I've been washing my hear with apple cider vinegar and baking soda to get it back to normal!